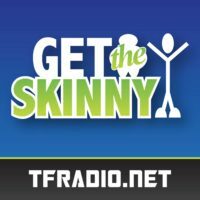 This week on Get the Skinny: The Coolest Cooler Kickstarter drama, convention cuisine, the McDonald’s of the Future, the P90X diet and more! This week Brian and guest host Joey, a professional wrestler, talk about their weight struggles and goals. Joey talks about how his profession has shaped his weight and fitness goals.